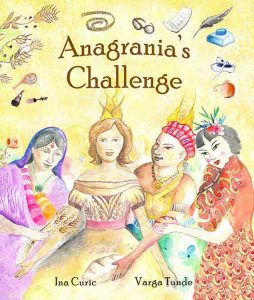 “Anagrania’s Challenge” – An empowering coming of age story for ages 4-10 & parents who need help with creative conflict resolution & a whole foods agenda. 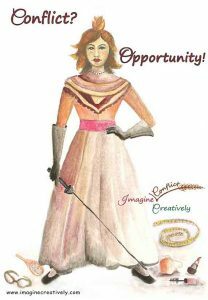 Also a coming of age story of young women into mature women, transforming the fight mindset into creative collaboration. It introduces and challenges body image and skin colour stereotypes and pressures imposed on young girls and women by the mainstream media culture. Available in e-book, paperback and hard cover HERE. Storybook description & editorial reviews here. 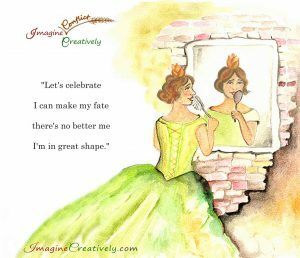 Anagrania – an archetypal Grain Princess – finds peace within her and with others by coming to terms with who she is and celebrating it in good company. She wears a three layered dress in this coming-of-age story. Royal outfits disclose levels of meaning that are connected. 1st layer is about self-acceptance, esteem and celebration of the uniqueness each brings. Dismantling the love affair with whiter skin, fashion whims, slim or round trends and any super-imposed norms of what bodies should look like. 2nd layer dissolves conflict with self-love, consultation and care for the others too. Conflict brings an opportunity to be creative and move beyond struggle. Celebrating uniqueness in diversity becomes an integrated way of being. 3rd layer has a simple message about whole grain nutrition. The wheat grain was created whole and wants to be eaten whole. Nature is perfect. No need to improve by reducing or eliminating parts of its essence. So, how can whole grain nutrition become the new norm? The turning point in the story from fight to creative delight brings Anagrania a song. Little girls on three continents felt the fire of truth in it. Enjoy the tune and write your own personalized hit! Full storybook description & editorial reviews here. Get the book in hard cover, paper-back and e-book here.